Despite the many other things I should have been doing, I bought and read Tamora Pierce’s latest book as soon as it came out. I loved it, of course. Given that I loved it, of course, you can see that I might just be a tad biased in my review. I grew up with this universe. I love these books, and I love this author. Her first book (Alanna: The First Adventure) was published in 1983, and since then she’s written 26 other novels, generally broken into quartets, and set in one of two universes. Both of the universes she writes are magical fantasy: Tortall has knights and wars and a pantheon of gods; Emelan has mages and priests and pirates. Fun! Each quartet of books stands alone, although there are often brief appearances of the characters from previous quartets for the delight of those readers who have recognize them. And while the characters develop through their quartets, the plots of each individual book also stand alone for the most part. Mastiff, her most recent book, is set in Tortall and is the third book in a rare trilogy rather than a quartet. In Terrier, Becca Cooper was in training to be a city guard; in Bloodhound, she was finally an official city guard. In Mastiff, Becca Cooper is one of the best of the city guards and thus given the hardest tasks. I think that’s why Mastiff struck me as slightly more mature than other of Pierce’s books. While she’s not formulaic, per se—each plot is different and each character is unique—she writes coming-of-age stories, generally of young girls. There are multiple stages of coming of age, and each quartet will follow a character through some of them. Becca had her coming of age experiences in the first two books and had, in fact, come completely of age. In this, the character development was very much that of an adult in an adult’s world. Good and evil are not necessarily clearly delineated and sometimes even when they are, you wish they weren’t. The book starts with the funeral of Becca’s fiancé whom she had been intending to break up with and is then immediately sent on a mission to stop a traitor to the crown intent on civil war. There’s guilt and betrayal mixed in with adventure and mystery. There’s also a sense of foreshadowing throughout this entire series. It’s set a hundred years prior to her first book, and for those of us who have read the Alanna series, we can see developing the social changes that Alanna will have to fight against. This entry was posted in Adventure, Fantasy, Mystery and tagged Mastiff, Tamora Pierce, Tortall. I think Pierce’s Alanna series might have been my introduction to warrior heroine stories in the fantasy genre, which is now probably my very favorite type of book. 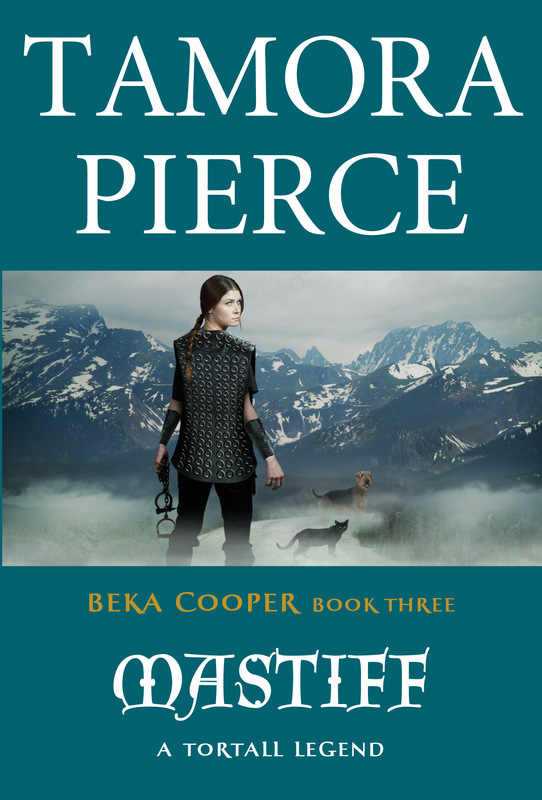 It is a close call between her and Anne McCaffrey (RIP), but I believe Pierce came first by maybe a year.